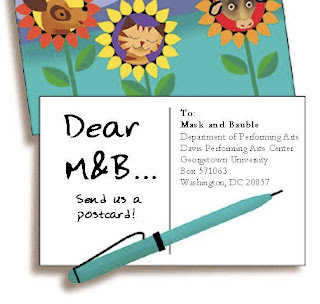 Georgetown Theatre Alumni: Send M&B A Postcard! Traveling this summer? Live someplace interesting? Live someplace boring? Drop Mask and Bauble a note and stay in touch with GTA via our Facebook group, Gmail address, and this website. Safe travels!